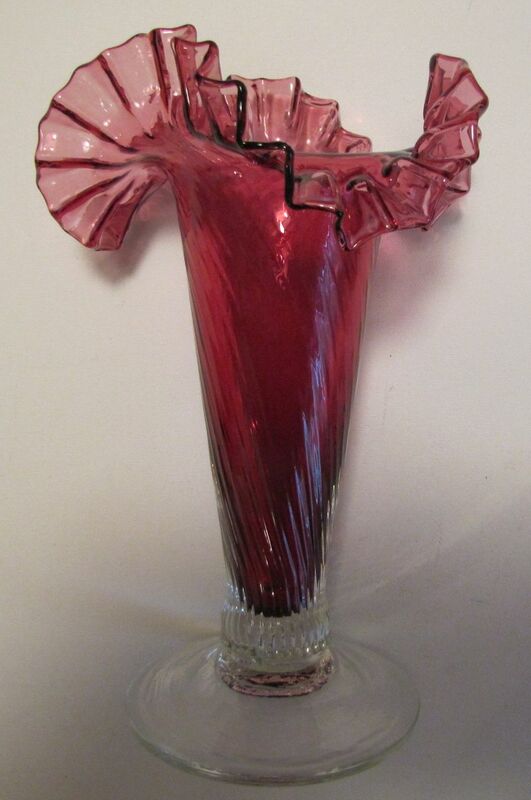 This is a vintage, beautiful Murano glass vase with a cranberry, ruffled top area. The bottom part and the foot is clear. 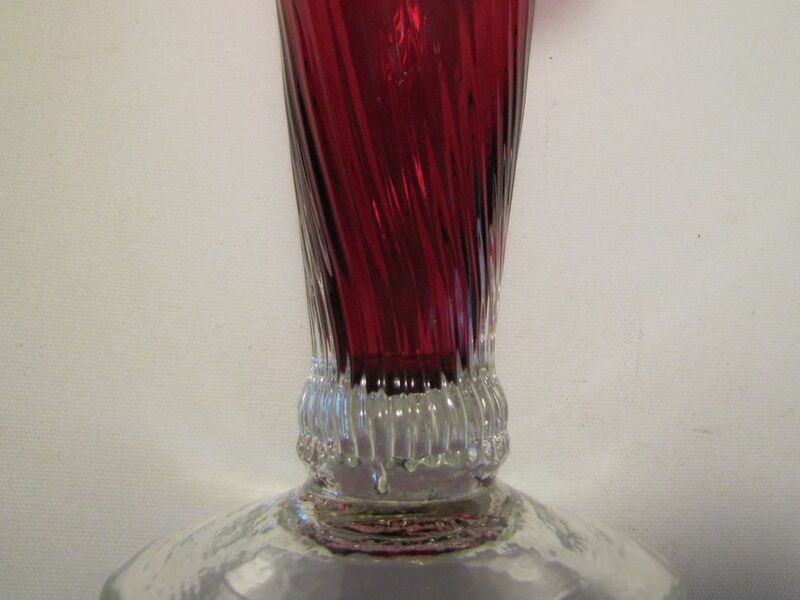 All of the glass is textured with the body of the vase having swirling lines and the bottom foot having some other type of lines. It stands 8 3/4 high and the ruffled part is about 6 in diameter. 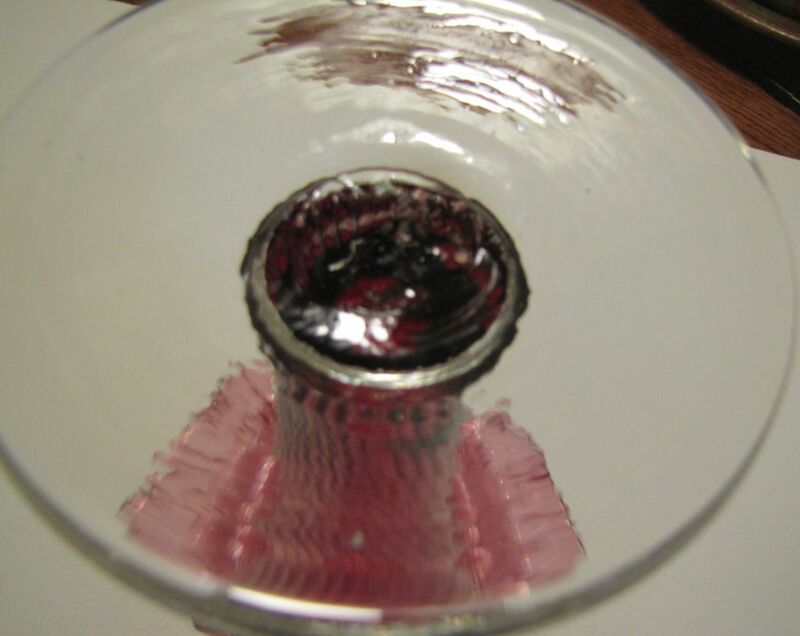 I believe it was hand-blown and have included a photo of the pontil. The condition is good, with no cracks or chips.